At the end of October, I spent 8 days in The Sunshine State thanks to a work conference. It was hot and humid the entire time and I loved every single second of it. 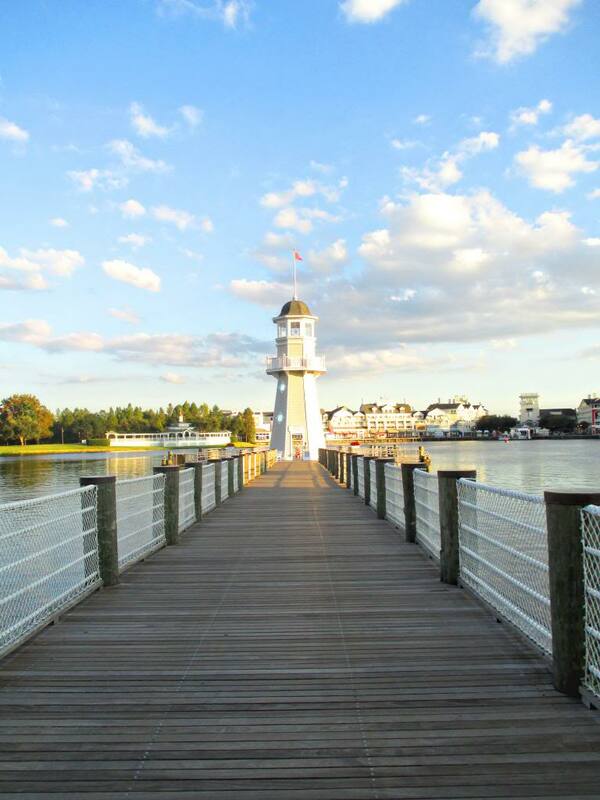 We spent 5 nights at the Yacht Club Resort in Disney World, which I highly recommend. I was a 5 minute walk from Epcot and 15 minute bus ride to all other Disney parks. 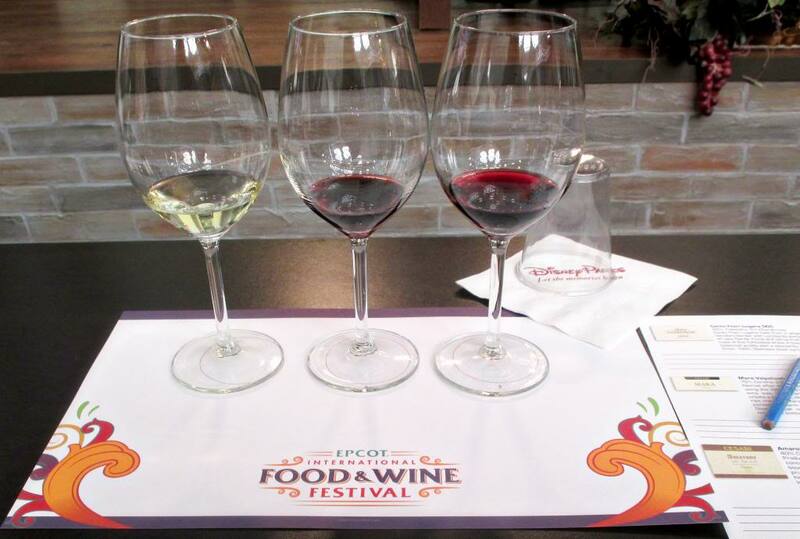 I spent a lot of time in Epcot, not cause it was close, but because of the Food and Wine Festival. 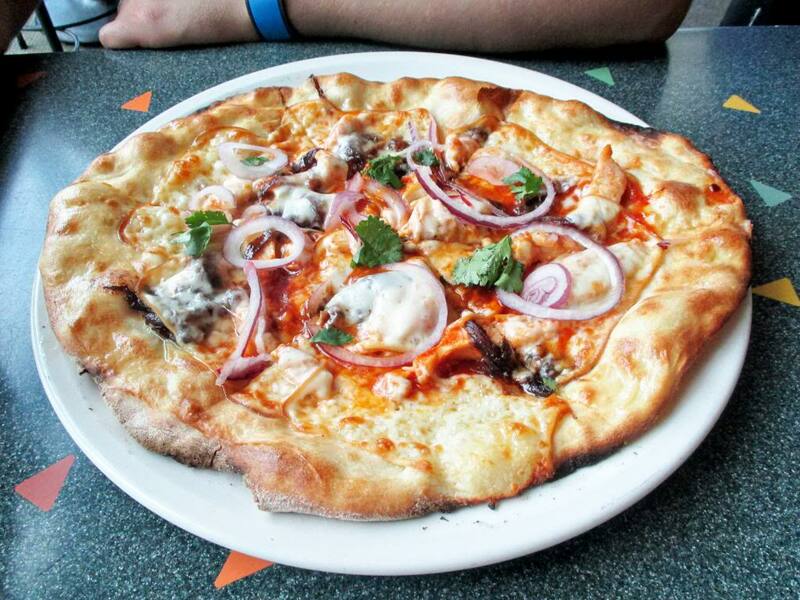 You can read all about the nomerific goodies I ate there in another post. 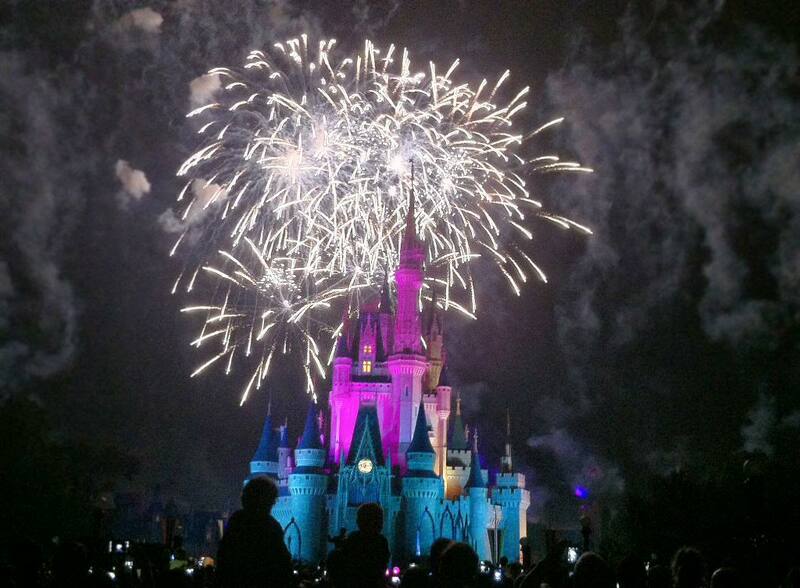 It’s hard to top Disney World; the magic, the scenery. And as much as I loved being in Disney World (ie: jumped up and down squealing the second I got in my hotel room) fulfilling my childhood dream, it was the food….and wine….and beer….that I loved the most. We arrived late on our first night, so we settled in, freshened up and took the boat across the lake to the Disney Boardwalk. We grabbed a hot dog then hit up the Bakery for some late night treats. 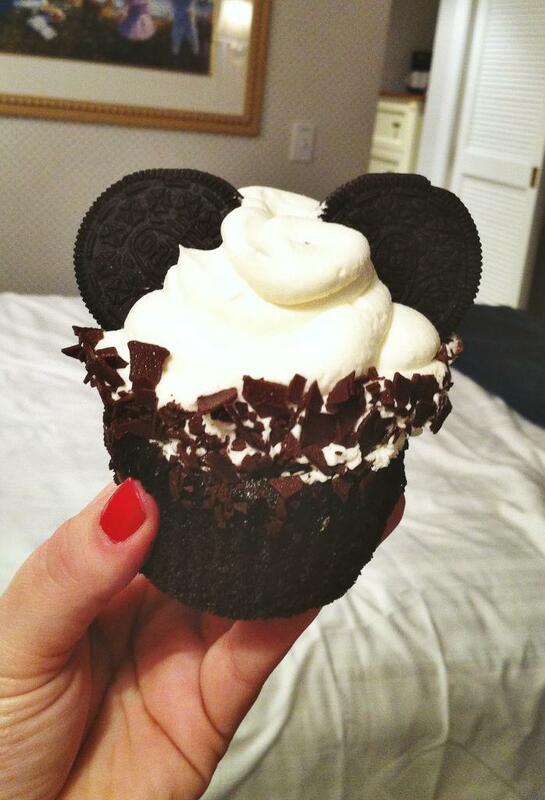 I scooped up the Mickey ears Oreo cupcake, which had the most delectable Oreo cream filling! The second delight I couldn’t resist was the Peanut Butter, Banana and Candied Bacon Pie. 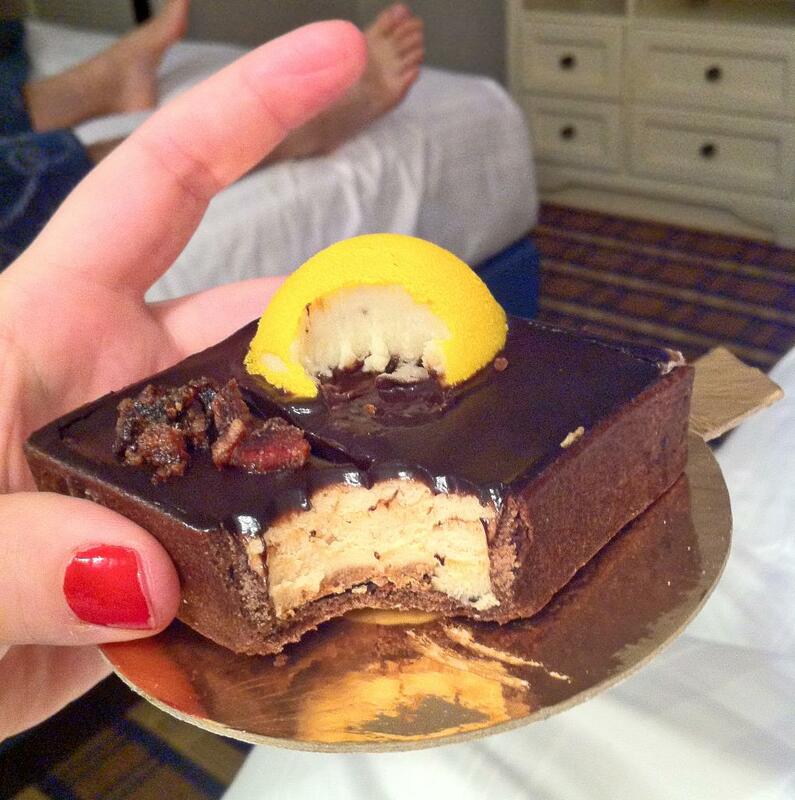 Super scrumptious, but still not as mind blowing as the cupcake! On our first day, we were offered a special trial at the new Be Our Guest Restaurant, which is almost impossible to get reservations for! We had to go online and pre-order our lunch and we were able to bypass the two hour long lunch line. 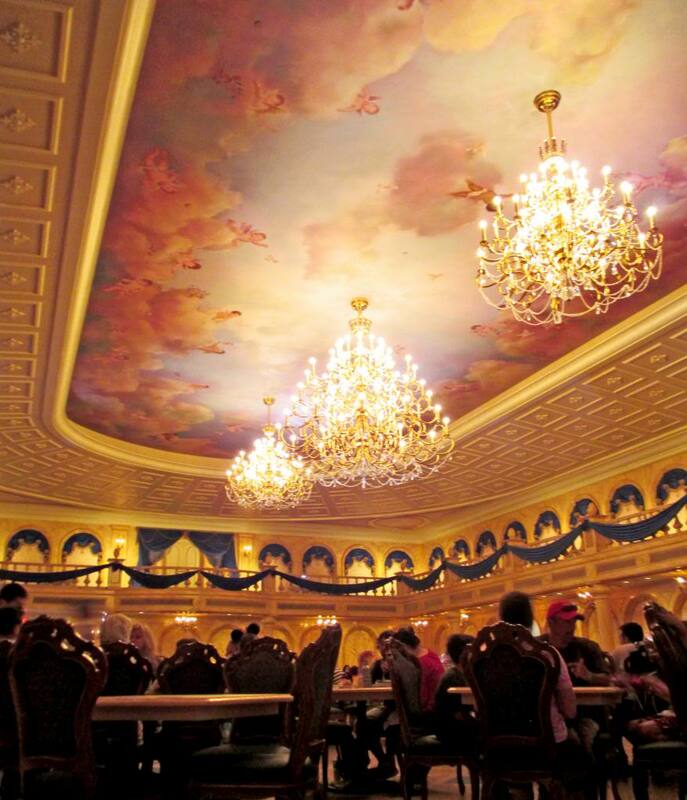 We sat in the main dining room and it was breathtaking. We shared a Croque Monsieur and a Veggie Quiche. The presentation was really lacking and the veggie quiche was nothing special. The croque monsieur was tasty but reminded me of the Moons Over My Hammy Sandwich from Denny’s. 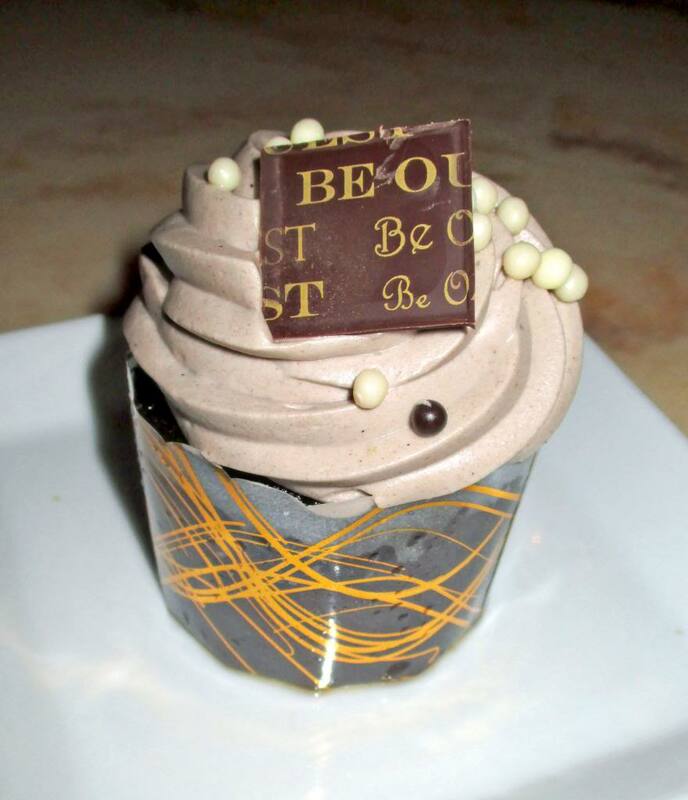 But the highlight of our meal was the Master’s Cupcake, which I like to call “The Grey Stuff Cupcake” because it was topped AND filled with the famous Grey Stuff!! Can’t you tell by the wide eyes and goofy grin? I ate 7 of them when I was in San Diego in May and I didn’t share a single one. I only ate one this trip. It was in the Magic Kingdom and I swear it was two feet long. It took me two seconds to eat. I inhale them, obviously. 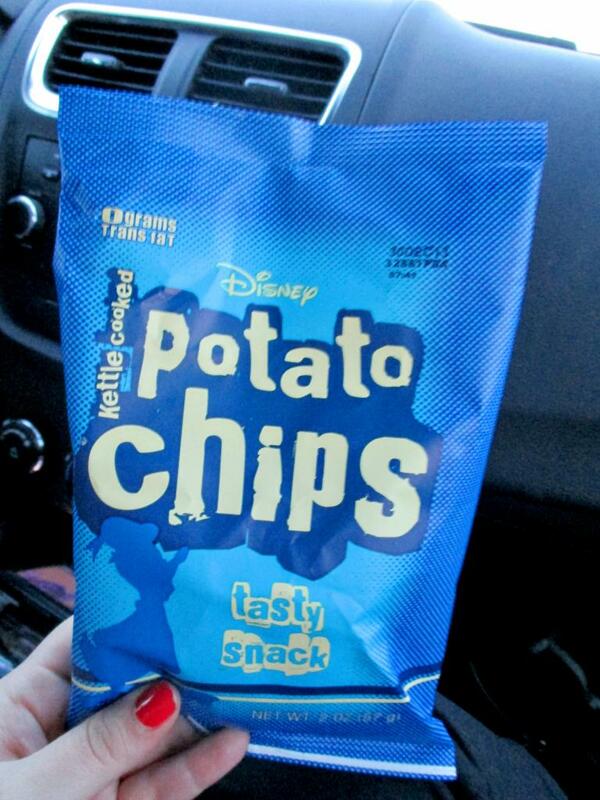 Go figure, they have Disney brand chips! 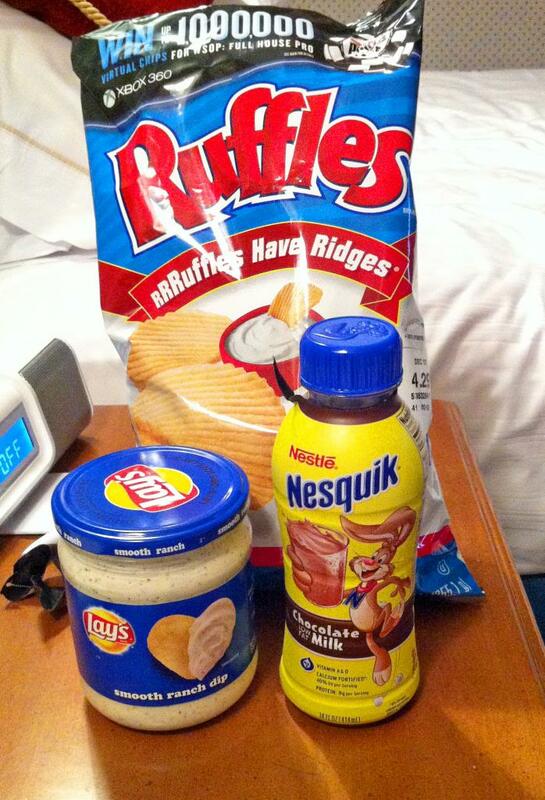 Sometimes you just need Ruffles chips and Ranch dip with chocolate milk to help you unwind from a long day. We picked at the chips and drip a little bit each night. I read a lot about Dole Whip and that it was a MUST for anyone going to Disney World, so naturally when we found the Dole Whip booth, we got two; Pineapple float (pineapple Dole Whip with Pineapple Juice) and orange Dole Whip. 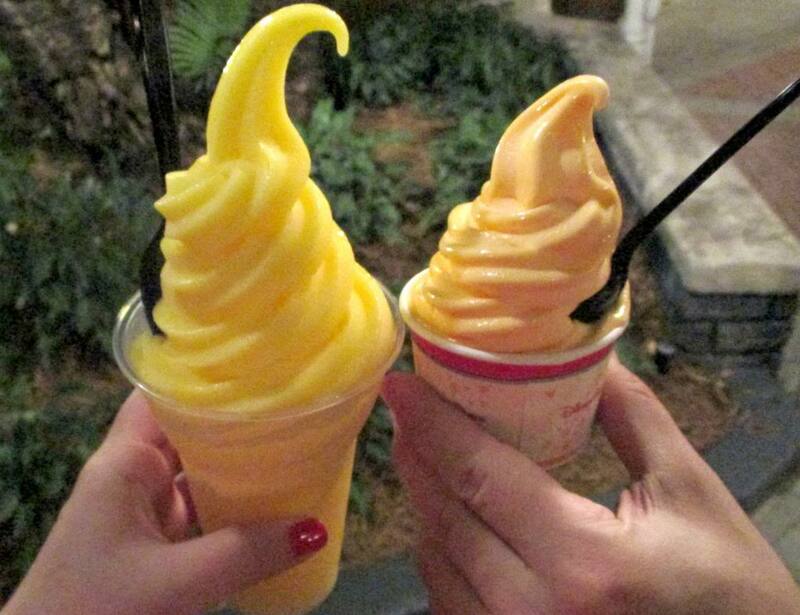 It’s the perfect way to cool down on a hot day! 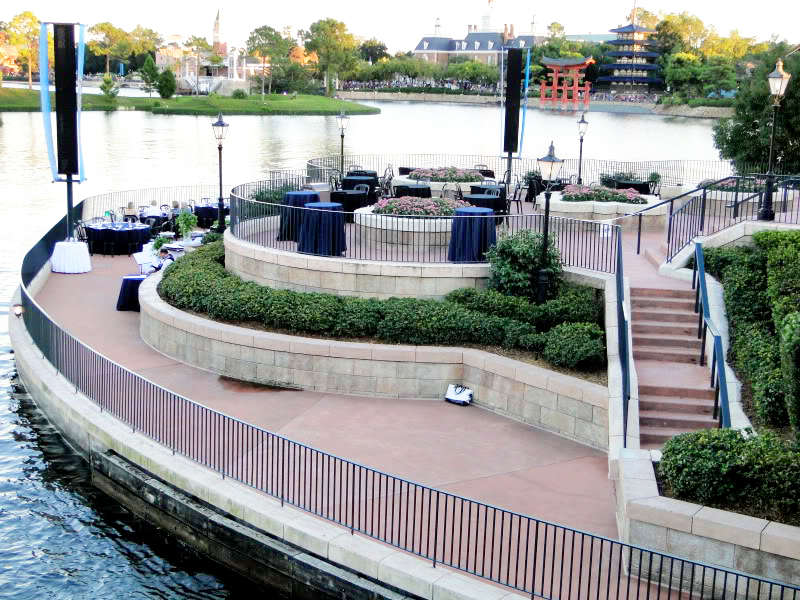 We also had an opportunity for a private viewing of the Epcot Illuminations fireworks. 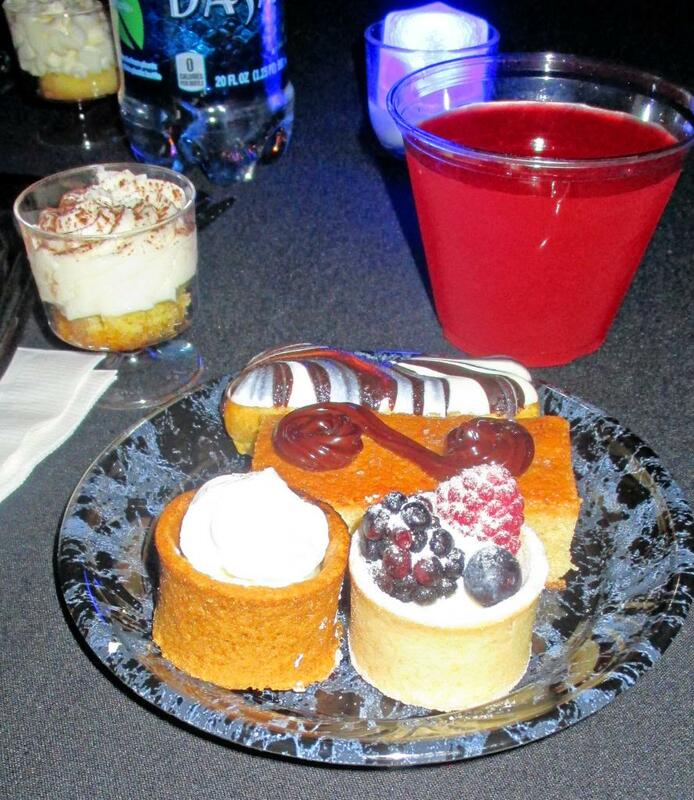 We had primo-seating and free desserts! I took one of everything, of course. On our very last day, in Disney World, we hopped over to Downtown Disney and had a late lunch at the Wolfgang Puck Grand Cafe. We ordered the Barbecued Chicken and Smoked Mozzarella pizza with balsamic onions as well as Ricotta Ravioli with cherry tomatoes, broccolini, garlic, pine nuts and warm basil vinaigrette. 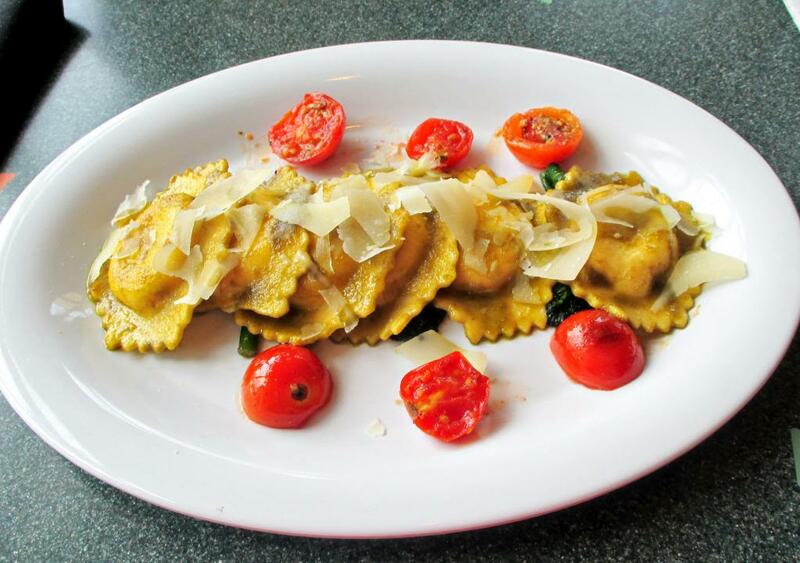 The pasta was my favorite, by far! 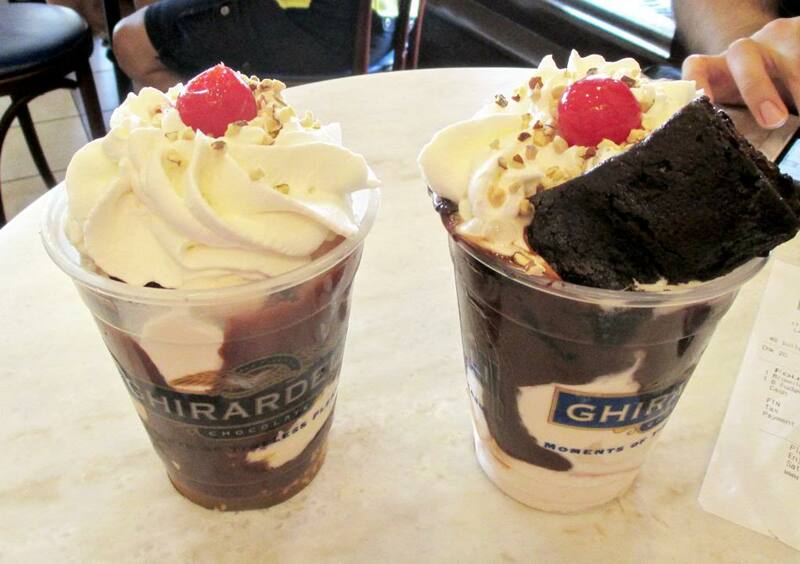 And if lunch wasn’t enough, I thought it would be a genius idea to get ice cream at Ghiradelli. And not just one to share. I made us each order one. It was rich and decadent and there was no way we could finish them. I had the biggest belly ache ever! I also drank a lot. Mostly wine and beer and almost always alone because my boyfriend was busy during the day in his conference. Nothing classier than getting tipsy by yourself in Disney World. My first wine seminar introduced me to my new favorite wine. Move over Apothic Red. 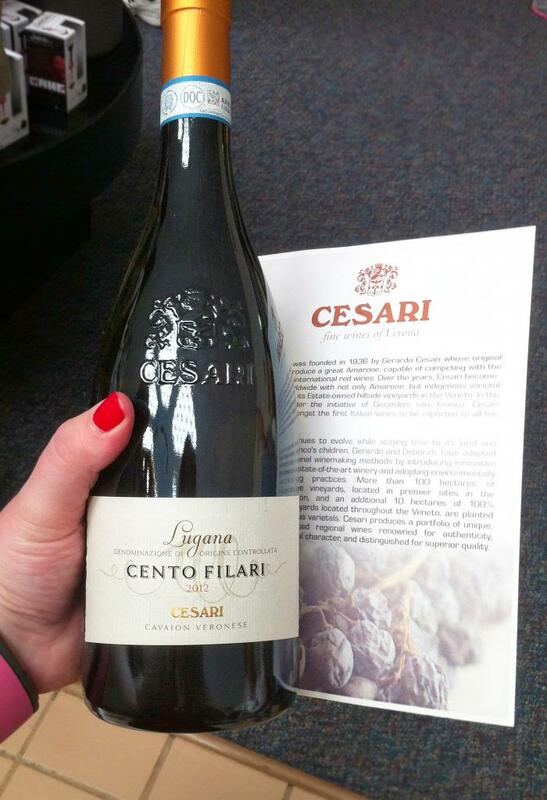 The vineyard is called Cesari and they are from Italy. I bought a bottle of my favorite and plan on saving it for a special occasion because I’m almost certain I’ll never find it again. I loved their Amarone, too, but I had to settle for one bottle and the Lugana won. 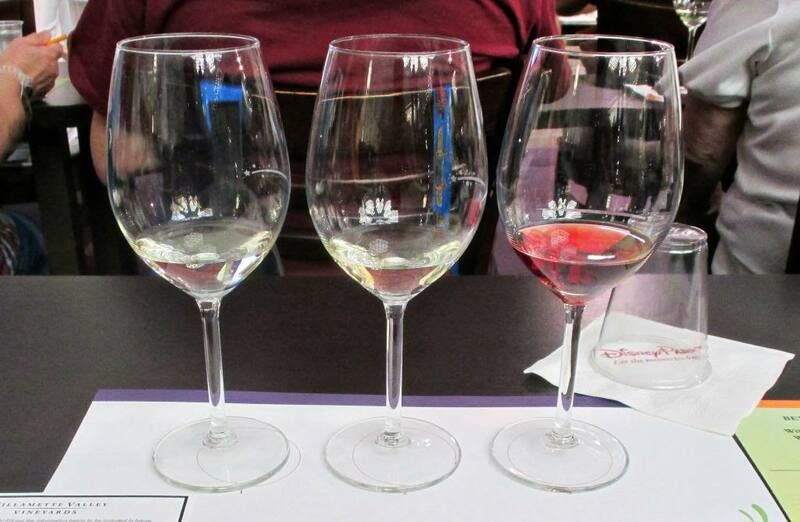 The second wine seminar was with a vineyard from Oregon called Willamette Valley Vineyards. This was probably my favorite seminar because the founder, Jim Bernau was so passionate about the whole wine making process. He spoke to traditions, wine making regions and how fabulous Pinot Noir is when it’s from Oregon. He made me want to travel to Oregon, simply to visit his vineyard. Other than wine, I drank a lot of beer and some champagne while sampling cuisine from around the world at the Epcot Food and Fine Festival, which you can read about here. 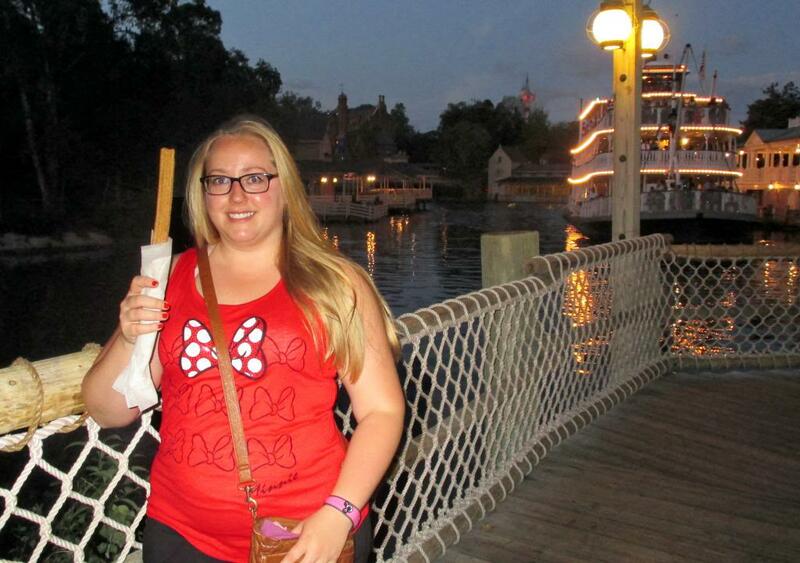 I had a blast in Disney World and I can’t wait to go back!